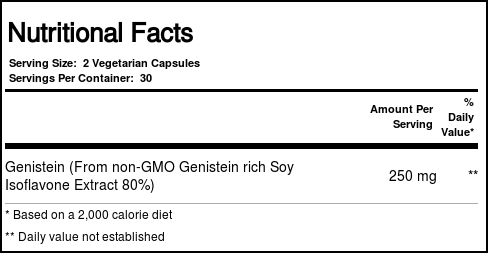 Genistein contains 125mg of Genistein and generally contains 88-100mg of daidzein, the major isoflavone aglycones. 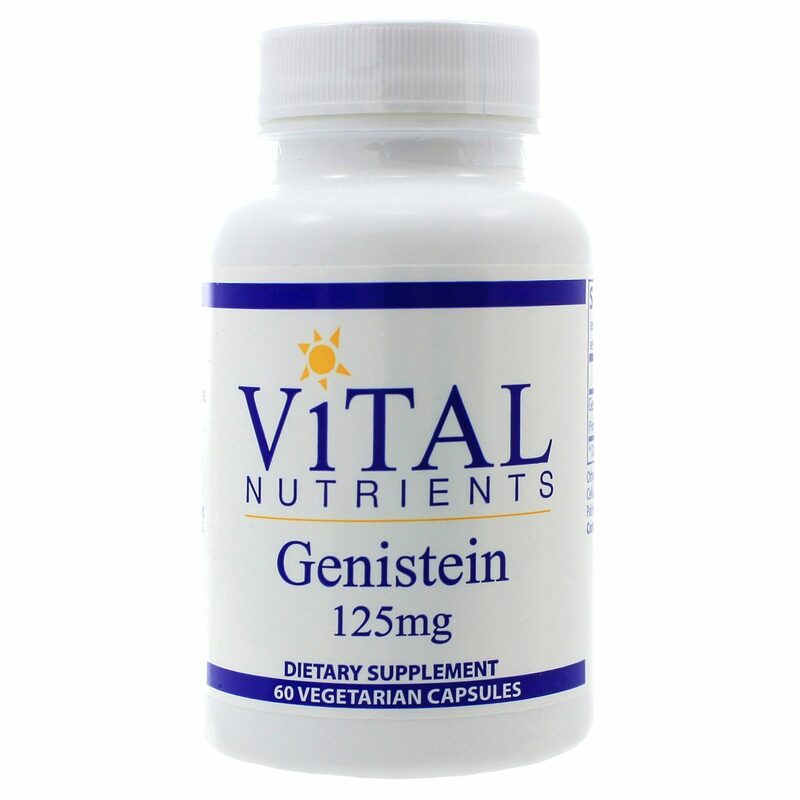 Genistein has been shown to help maintain normal cell function and growth. 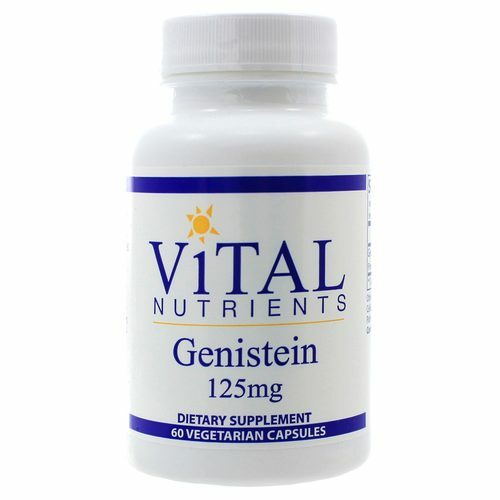 Genistein and daidzein also promote and support immune system and bone marrow health. 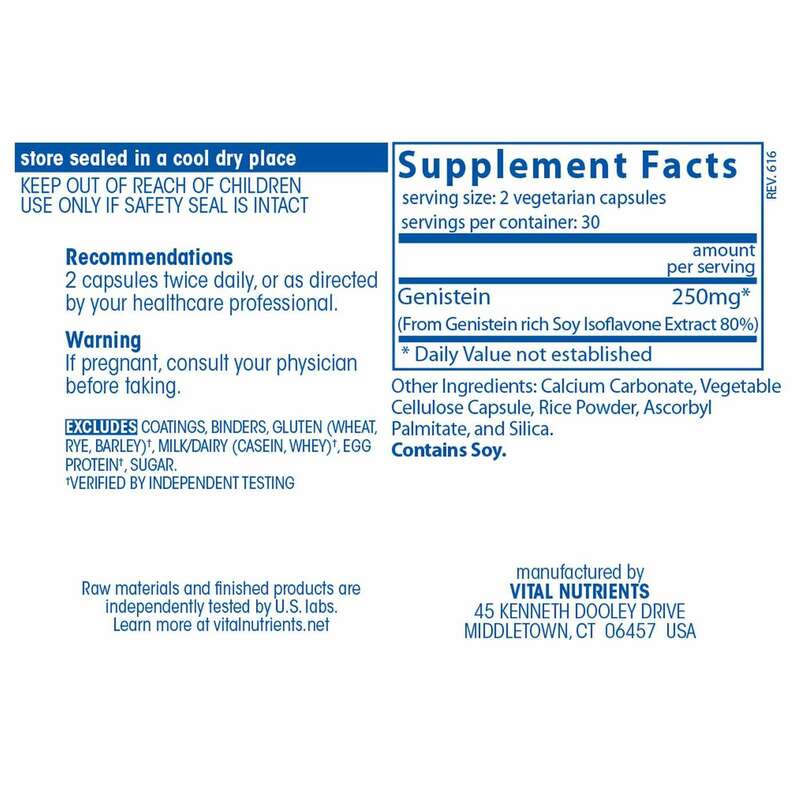 The isoflavone glucosides (isoflavone linked to glucose) genistin, daidzin and glycitin are not present in this product. Most soy products on the market contain isoflavone glucosides and few isoflavone aglycones (isoflavone without the glucose attached). Isoflavone aglycones are the desired form and are more rapidly and better absorbed than isoflavone glucosides. Excludes: coatings, binders, gluten (wheat, rye, barley), milk/dairy (casein, whey), egg protein, sugar. Recommended Use: Take 2 capsules twice daily, or as directed by your healthcare practitioner.